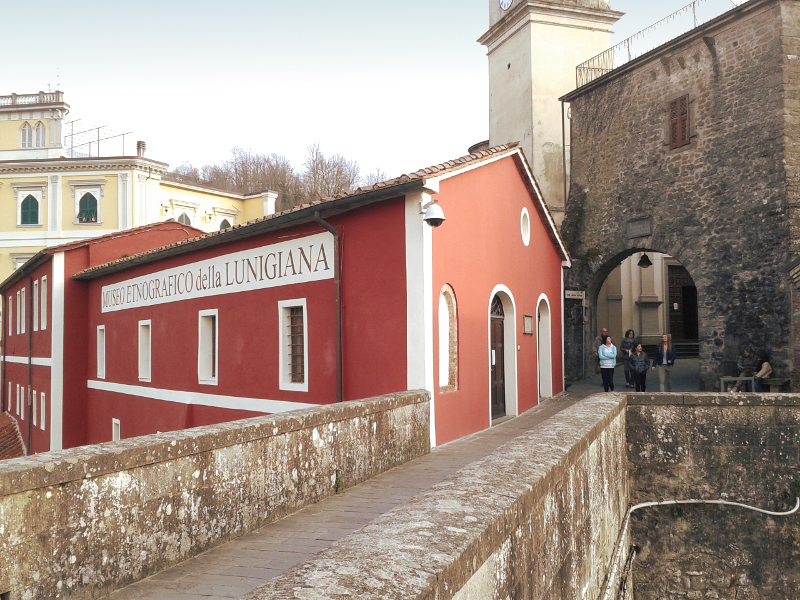 Lunigiana is inland of the Ligurian coast – a wild land with steep gorges and towering mountains that ring a crescent –shaped valley. Though nominally Tuscany (that’s what the map says) the area actually has more in common with Liguria and Emilia Romagna both linguistically and culturally – the valleys extend inland to Emilia Romagna, white the towns towards sea, which would have provided what commerce there was, were Ligurian (Carrara and Massa were also within the Ligurian sphere of influence until malaria was driven from the plains separating them Pisa, sometime during the last century). The locals subsisted mostly through farming the valleys, growing hemp to make cloth and a variety of grains for bread. The woods provided chestnuts, and what ever else could be produced at home was, from butter to butter churns. 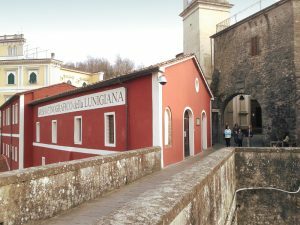 Villafranca in Lunigiana has a fascinating ethnographic Museum, which is located in an old mill that hugs the city walls.